How Good Communication Leads To Better Automotive Service & Lower Costs? Do your homework. Read the owner’s manual to familiarize yourself with your vehicle and its systems. Follow the recommended service schedules. Keep a log all repairs or organize repair orders & service receipts. Most service providers have an electronic file of this information by customer and vehicle. Don’t ignore warning signals such as odd sounds, smells, warning lights, gauges, performance, etc. Remember, you know your car better than anyone else. You drive it every day and know how it feels and sounds. When problems occur make notes. When does it occur? Is it intermittent or frequent? Does it occur when the vehicle is cold or after the engine has warmed up? At all speeds? Under acceleration, while braking, when turning or when shifting? When did it first happen? These are all good questions to ask yourself so you can provide a good description of the problem. Make a written or mental list of the symptoms so that you can provide to the service advisor. 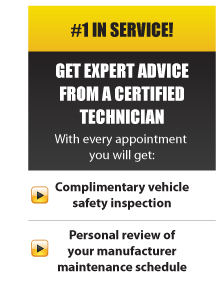 The more information you provide the more efficiently and effectively the problem can be diagnosed and repaired properly. Resist the temptation to suggest a specific course of repair. Just as you would with your physician, tell where it “hurts” and how long it’s been doing that, but allow the technician diagnose and advise a course of action. Rum River Automotive always recognizes the importance of good communication with our customers. We work hard to establish and maintain open and clear channels to exchange information to keep our customers informed and educate our customers. We strongly believe our efforts help build a strong working relationship.